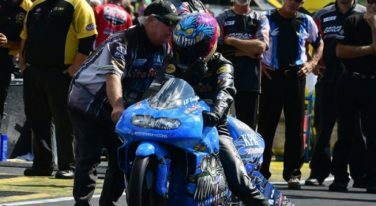 Can LE Tonglet Win his Second NHRA Pro Stock Motorcycle Title? 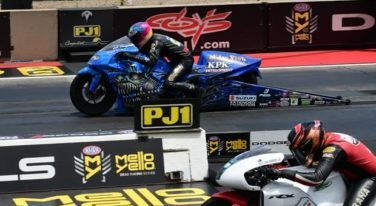 This year’s NHRA Countdown to the Championship bears little resemblance to LE Tonglet’s first season of Pro Stock Motorcycle competition. 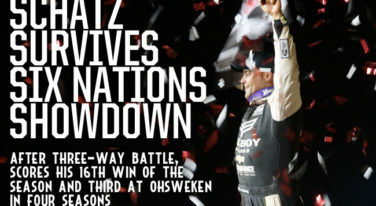 It’s been nine long years since anyone won all three races in NHRA’s Mello Yello Western Swing. 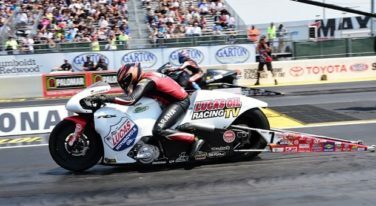 For the second consecutive year, Pro Stock Motorcycle will hold its Mickey Thompson Tires Pro Bike Battle, a race within a race during the Toyota Sonoma Nationals. 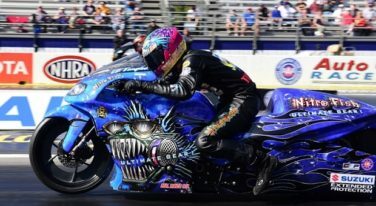 LE Tonglet, who won NHRA’s Pro Stock Motorcycle championship as a rookie in 2010, stepped out of his comfort zone last year to take on the second White Alligator Racing (WAR) Suzuki motorcycle in Mello Yello Drag Racing Series competition. 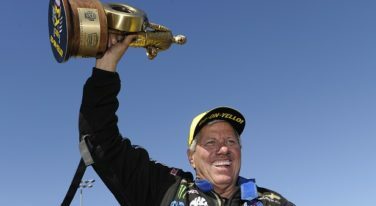 John Force and J.R. Todd had big days at the 2016 NHRA Sonoma Nationals.